Today, armed with a spade, a sharpie, a pen knife and some duct tape the boys and I started our winter garden. 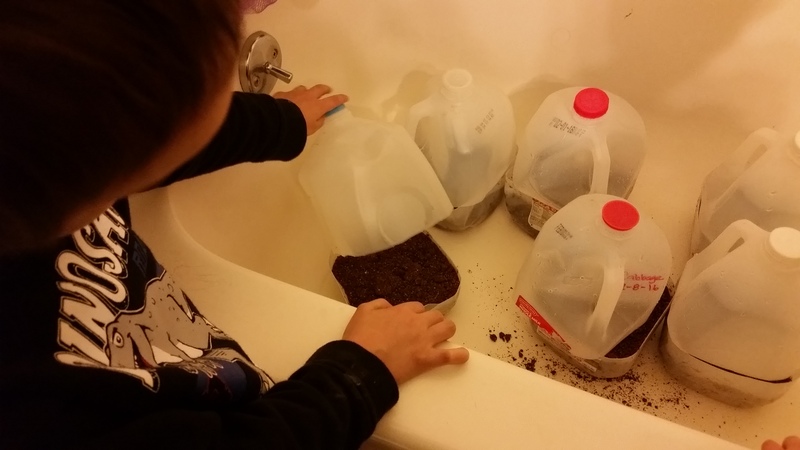 We have been saving milk jugs to use as our ‘mini greenhouses’. 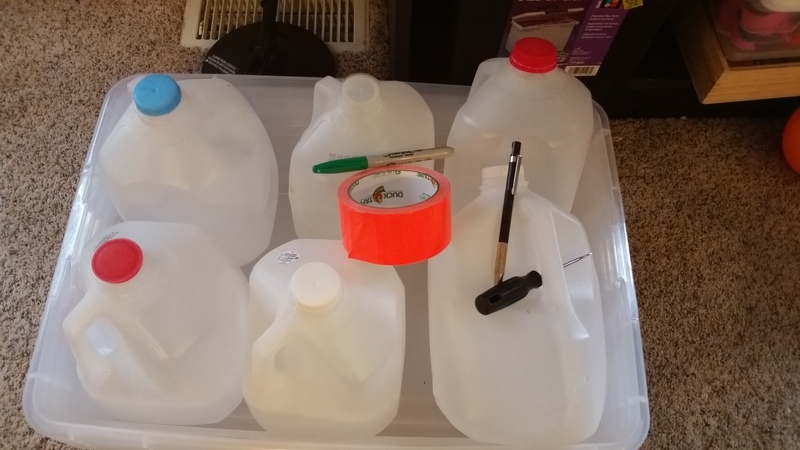 We punched drainage holes with the screw driver and used the pen knife to cut the jugs in half, being careful to leave one corner as a hinge. Voila! Mini greenhouses from re-purposed materials. 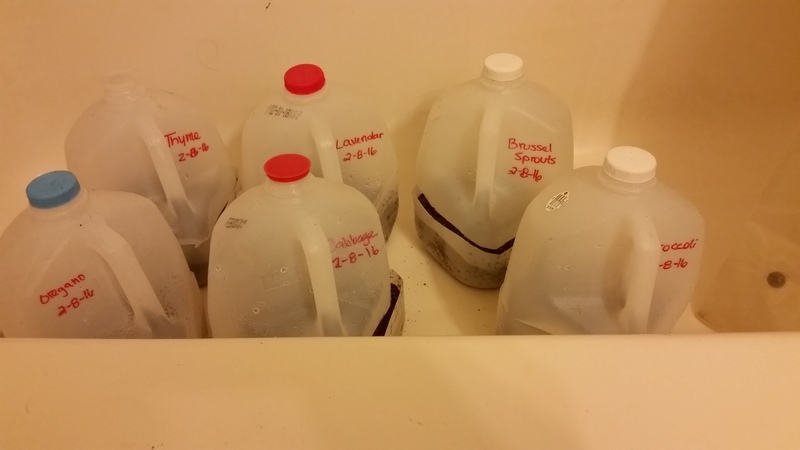 Once the greenhouses were finished, we filled the bottom with a seed starting soil mix I purchased from a local nursery, thoroughly watered the mix and set the jugs in the bathtub to drain. After the water drained and the soil was thoroughly dampened, we planted Brussels sprouts, broccoli, cabbage, sage, oregano, thyme and lavender. Finally, we removed the caps and secured top with a strip of duct tape. All jugs will go in a tote with holes drilled for drainage and then outside on our deck. We still need to start kale, spinach and lettuce this month. I guess it’s time to drink more milk. This entry was posted in For the Kids, Garden Stories, Haiku, Permaculture, Poetry, Writing. Bookmark the permalink.